A common question of many Christians is, “How can I know when God is speaking to me?” Learn how God does speak to Christians and how we can discern His voice and position ourselves to respond. 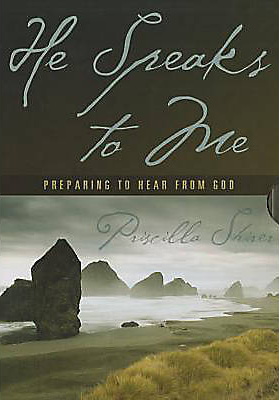 A common question of many Christians is, “How can I know when God is speaking to me?” In He Speaks to Me, Priscilla uses the account of God speaking to Samuel in 1 Samuel 3 to show God does speak to Christians and how we can discern His voice and position ourselves to respond. Participants will discover how God spoke to Samuel, his response, and how God speaks to believers today; they will be encouraged to listen and respond to God’s voice; and by listening to God’s voice and obeying Him, you will experience spiritual growth, Christian discipline, and the desire to serve. Each video runs for 35-40 minutes.